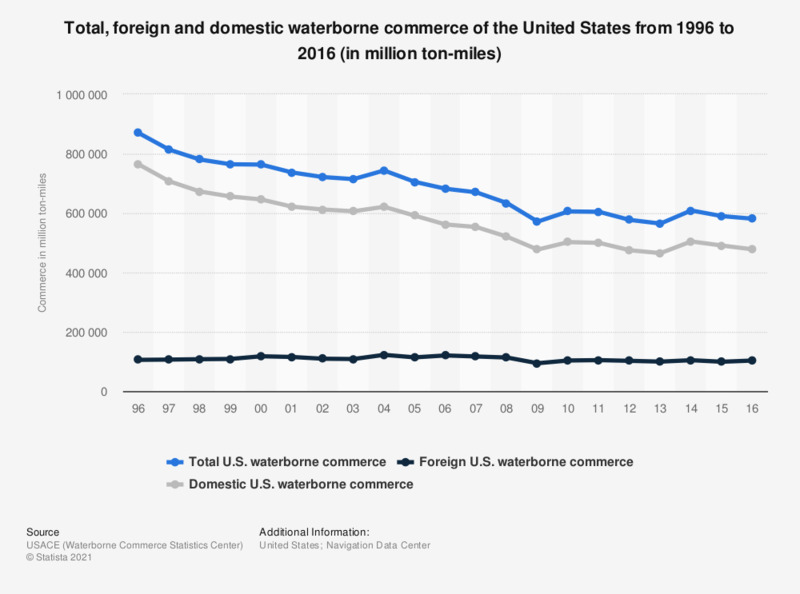 The time line shows the total, foreign and domestic waterborne commerce of the United States from 1996 to 2016. In 2015, the number of ton-miles in U.S. waterborne commerce was approximately 590 billions. Excludes intra-territory traffic for which ton-miles were not compiled. Statistics on "Pistachio market worldwide and in the U.S."